Wildlife artist, and former President of the Society of Wildlife Artists, Bruce Pearson spent five days working in World Land Trust (WLT) gallery at the beginning of July as the gallery’s first artist in residence. 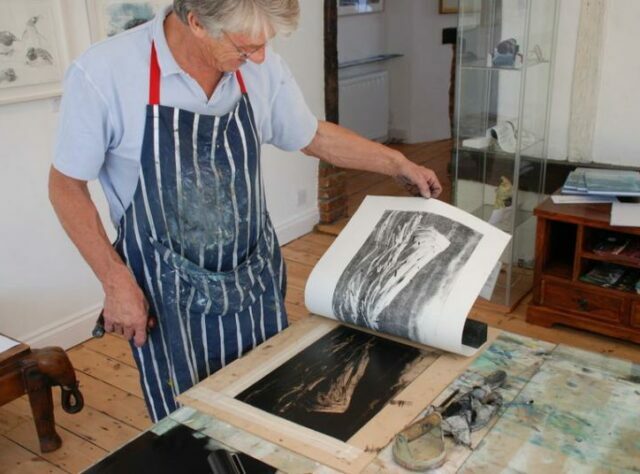 The residency gave Bruce the opportunity to demonstrate his print methods, to chat to visitors and to experiment with a new water based printing ink. During the residency, Dan Bradbury, WLT’s Head of Digital Communication, made two films of Bruce at work. 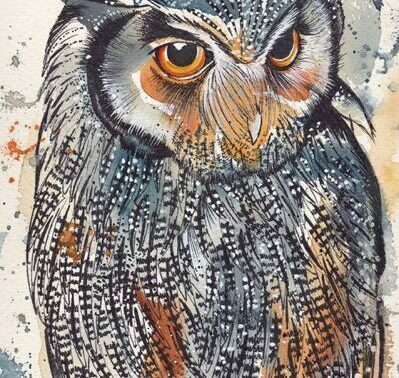 “I tried to capture not only the method but also some of the creative process and techniques that Bruce uses when producing a monoprint,” explained Dan. Monoprinting isn’t an exact science and registration can never be perfect, but Bruce plans his work in advance and thinks through the process in a methodical manner, starting with sketches made in the field and developing them into finished works in the studio. During his residency, one of the videos and several photos of Bruce at work were posted on WLT’s social networks so that people who were unable to visit could see what he was working on, and his methods. The exhibition of Bruce’s work, An Artist in the Natural World, runs until 9 August 2013. The exhibition reflects Bruce’s experiences on deep sea fishing boats in the southern oceans where he has recorded, among other things, the plight of albatrosses at the mercy of long-line fishing. 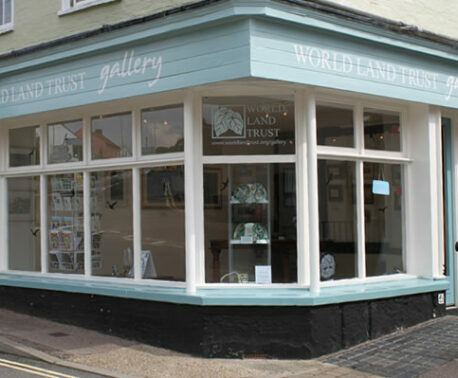 Most of the drawings are on sale in the gallery, and via the gallery page of WLT website.